Ambler Design specializes in creating elegant and organic home-centered landscapes. We work with earth, stone, plants, and water to design beautiful landscapes that surround your home or business. Our designers work with you to develop an understanding of your project needs, budget, site opportunities, and most importantly, project vision. 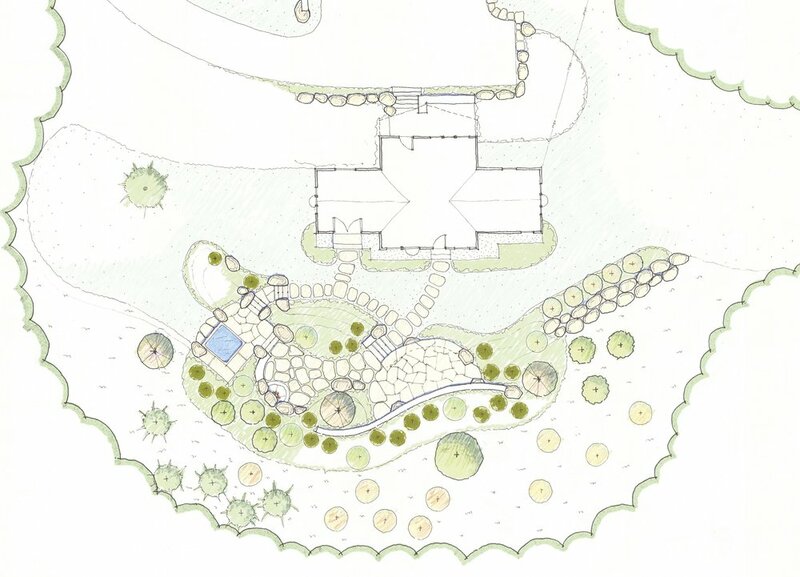 Whether you have your own ideas or are looking for inspiration, Ambler Design can provide design plans that convey the potential of your landscape project. If you are in the process of building a new home or addition, consider hiring us to work with your architect or builder to ensure your homes access, utilities, solar potential and landscape elements are well integrated into the entire site design. Based on your needs and the complexity of the project, we can provide everything from a hand-drawn plan to complete computer drafted (CAD) plans and details for your project. Our concept plans for your project include perspective sketches, sections, and concept imagery for materials, plants, or unique details. We strive to convey the landscape concept clearly to enable an understanding of the landscape visions for your site. In need of inspiration? Click through to view our LOOKBOOK.